Before anyone can discuss how search will advance in the future, it is important to get a glimpse into how much it has changed in a relatively short period of time. Most searches now occur on mobile devices. With the addition of features like auto tagging in Google Cloud, being able to search for images has become even more effective. However, the end goal is for search to become like a personalised virtual assistant for every mobile device user on the planet. Although there will be many aspects that will be changed or advanced during the coming years, none will have such an impact as voice search. If you have been underestimating the power of voice search and how it can help your SEO marketing efforts, it is important you take the time to consider the following statistics. A recent Northstar survey revealed that over 55% of teenagers frequently use voice search regularly, and almost 56% of adults also enjoy voice based search. They believe that is not only a fun way to find the content they are looking for, but it is also convenient. So, if you are looking to ramp up your SEO marketing efforts, there are several things you need to keep in mind. If you want to stay in front of your competition, you will need to utilize voice search so your business remains at the top of the results when users are searching for your products and services. The continual growth of voice search is directly related to the unprecedented increase of mobile search. As the technology becomes more advanced, voice search will have a major impact on local search. This means that when a voice search is conducted it will be three times as likely to be a local search, and users will be more inclined to use voice based search for location enquiries. 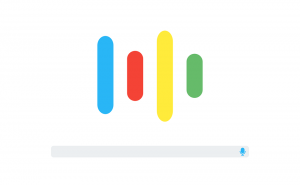 How Can Your Business Optimise for Voice Search? Also, ensure that the content on your website is well organised. Your company’s social media channels should be optimised, and any information your customers are looking should not be hard to find. Focus on providing quality content for your customers. All networks consider user experience when choosing the content that should be placed higher in search results. Create content that can be activated by text or voice. This will help increase your customer base, and keep your site at the top of the results. The way that consumers search for information online is quickly changing. We are entering an era where words that you spoke and were only understood by other humans can now be decoded by a mobile device.